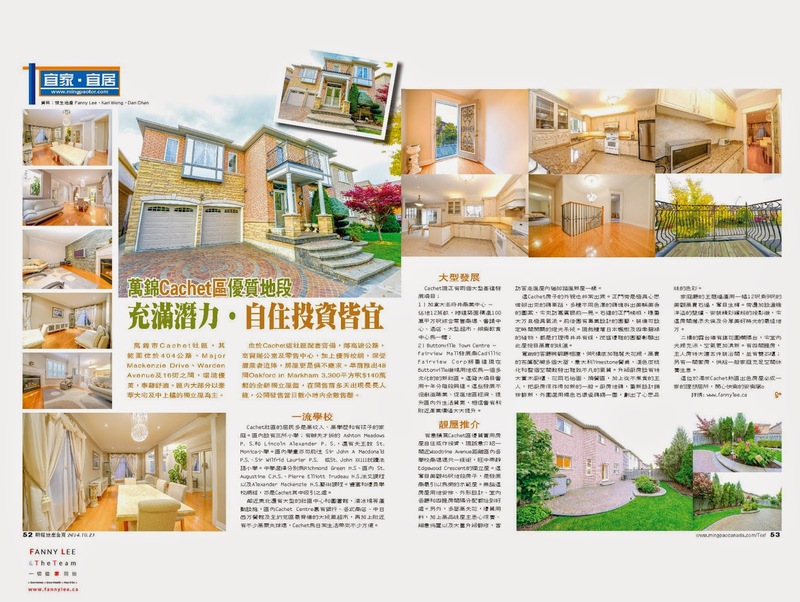 On Oct. 23 Ming Pao Property Goldpage, we had a story [萬錦市Cachet 優質地段自住投資皆宜 (Excellent Cachet Neighbourhood)] exploring the attractiveness of Markham's Cachet community. We also highlighted the key development projects that will enhance property value in this area. Also, we introduced an opportunity to own a property in this prestigious neighbourhood.